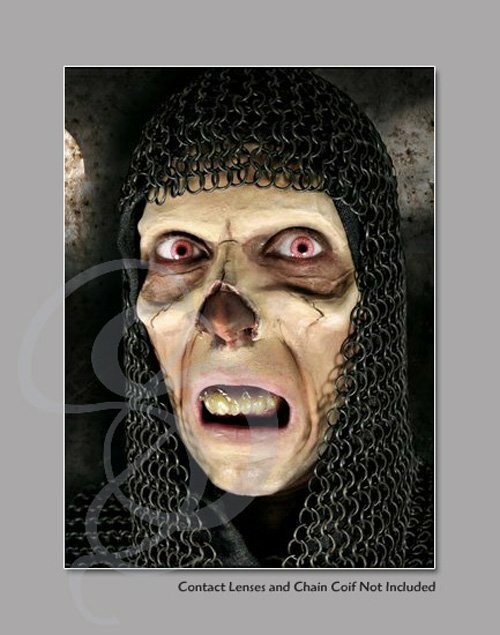 Makeup set- Undead - this item is discontinued, priced to sell!! Haven't you heard? Zombies are the new vampires! If you're ready to embrace your new Zombie masters, then grab one of these kits and start moaning. The kit comes with everything you need to give you the zombie face you always dreamed of. It comes with fake rotted skin, dead-British guy teeth, zombie half-mask, makeup and an adhesive to stick the latex to your face. As a bonus, we also include adhesive remover, to make your return to humanity easy and quick. (note: special effects contact lenses not included). Grab one of these kits for costume wear, or simply to make a fashion statement. Or, keep one on your shelf for Z-Day. Because when the zombie rise up, your best strategy might be to blend in.